Prophet Muhammad, the mercy and blessings of Allah (God) be upon him, is the man beloved by Muslims and many of non-Muslims. He is the man who taught us patience in the face of adversity, and taught us to live in this world but seek eternal life in the hereafter. It was to Prophet Muhammad (PBUH) that God revealed the Quran. Along with this Book of guidance God sent Prophet Muhammad (PBUH) whose behavior and high moral standards are an example to us all. When Muslims declare their faith in One God, they also declare their belief that Prophet Muhammad (PBUH) is the final messenger of Allah (God). When a Muslim hears Prophet Muhammad’s name mentioned they ask Allah to send blessings upon him, it is named salawat (صلوات). Prophet Muhammad (PBUH) was a man, a human being just like any other man, but it is his love for humanity that sets him apart. He longed for Paradise not only for himself but also for all of us. He wept tears not for himself but for his nation, followers (Ummah امت). As it is written in the Quran, Muslims also believe in the same Prophets mentioned in Jewish and Christian traditions, including Abraham, Noah, Moses, and Jesus (PBUT), and they believe that all prophets came with the same message – to worship God alone, without partners, sons or daughters. There is a difference, however, between all other prophets and Prophet Muhammad (PBUH). Before Prophet Muhammad (PBUH), prophets were sent to particular people in particular places and periods. Prophet Muhammad (PBUH) however, is the final Prophet and his message is for all of humankind. Allah did not say Prophet Muhammad (PBUH) was sent to the people of Arabia, or to men, or to the people of the 7th century. He made it clear that Prophet Muhammad (PBUH) was a prophet like no other, one whose message would spread far and wide and be applicable in all places for all times. Muslims love him, respect him and follow him. They hold him in such regard that for many it is emotionally painful to see or hear their beloved mentor ridiculed or disrespected. Throughout history and around the world non-Muslims have shown great respect and honor to Prophet Muhammad (PBUH) and he is considered influential in both religious and secular matters. Mahatma Gandhi described him as scrupulous about pledges, intense in his devotion to his friends and followers, intrepid, fearless, and with absolute trust in God and in his own mission. Prophet Muhammad (PBUH) taught Islam as a way of life, founded an empire, laid down a moral code and instituted a code of law focusing on respect, tolerance and justice. Muslims do not worship Prophet Muhammad (PBUH); they understand that he is only a man. However, he is a man worthy of our utmost respect and love. Prophet Muhammad (PBUH) loved humanity so much that he would weep out of fear for them. He loved his followers with such deep and profound devotion that God remarked on the depth of his love for us in the Quran. Prophet Muhammad (PBUH) taught us to love Allah (God) and to obey Him. He taught us to be kind to each other, to respect our elders, and care for our children. He taught us that it was better to give than to receive and that each human life is worthy of respect and dignity. He taught us to love for our brothers and sisters what we love for ourselves. Prophet Muhammad (PBUH) taught us that families and communities are essential, and he pointed out that individual rights although important are not more important than a stable, moral society. Prophet Muhammad (PBUH) taught us that men and women are equal in the sight of Allah and that no one person is better than another except in respect to his or her piety and devotion to Allah. Prophet Muhammad (PBUH) was born in the city of Mecca in Arabia in the year 570 A.D. (12th Rabi’ al-awwal) He was from a noble family and tribe; He belonged to the Bani Hashim clan, a part of the Quraysh tribe. Tradition places the year of Prophet Muhammad (PBUH)’s birth as corresponding with the Year of the Elephant, which is named after the failed destruction of Kaba in Mecca that year by the Aksumite king Abraha who supplemented his army with elephants (Kaba is a building at the center of Islam’s most sacred mosque, in Mecca. It is the most sacred site in Islam. From any point in the world, the direction facing the Kaba is called the Qibla. Muslims pray into direction of Qibla. For the first time, Abraham (PBUH) built it with his son Ismail). He was an orphan, having lost his father even before his birth, His father, Abdullah, died almost six months before Prophet Muhammad (PBUH) was born. He lived with his mother until he was two years old, but when his grandfather, Abd al-Muttalib (from the Bani Hashim clan) found out that Muhammad’s life was in danger, sent him to Halimah (as a foster-mother) and her husband in the deserts. As Muhammad (PBUH) was the last prophet and his signs was written in divine books, so the enemies of God were going to kill him as their ancestors killed the other prophets. At the age of six, Muhammad (PBUH) lost his biological mother Amina to illness and he became orphaned. For the next two years, he was under the guardianship of his paternal grandfather Abd al-Muttalib, but when Muhammad (PBUH) was eight, his grandfather also died. He then came under the care of his uncle Abu Talib, the new leader of Bani Hashim. While still in his teens, Prophet Muhammad (PBUH) accompanied his uncle on trading journeys to Syria gaining experience in commercial trade, the only career open to Muhammad (PBUH) as an orphan. When Muhammad (PBUH) was either nine or twelve while accompanying the Meccan’s caravan to Syria, he met a Christian monk or hermit named Bahira who is said to have foreseen Muhammad (PBUH)’s career as a prophet of Allah. Bahira warned Muhammad and his uncle, he also knew there were some unbelievers who were going to kill the last prophet. Due to his upright character and his honesty he acquired the nickname “al-Amin” (Arabic: الامين), meaning “faithful, trustworthy” and “Sadiq” meaning “truthful”. At the age of 25, Prophet Muhammad (PBUH) got married to his wife Khadijah,, who was the first woman to believe Muhammad as a prophet, so she was the first Muslim woman. Khadijah was a 40-year-old widow woman from a noble Christian family. She was a wealthy business woman, when she heard about Muhammad al-Amin (Muhammad who is trustworthy) hired him for her trade. But after she saw some signs in him, the signs which was prophesied in the Bible, she got to know that he should be the last prophet. She liked Muhammad (PBUH) and finally she offered a marriage proposal to him. Since Khadijah was a virtues woman, Muhammad (PBUH) accepted her proposal. Prophet Muhammad (PBUH) had just one child from lady Khadijah, a daughter, Lady Fatima (PBUH). Lady Fatima (PBUH) was the only child of the prophet, she is one of 14 infallibles. (The prophet Muhammad, Lady Fatima (PBUH) and 12 Imams). She had a main role in Imamate. Several years later, according to a narration collected by historian, Prophet Muhammad (PBUH) was involved with a well-known story about setting the Black Stone in place in the wall of the Kaba. The Black Stone, a sacred object, had been removed to facilitate renovations to the Kaba. The leaders of Mecca could not agree on which clan should have the honor of setting the Black Stone back in its place. They agreed to wait for the next man to come through the gate and ask him to choose. That man was the 35-year-old Muhammad (PBUH), five years before his first revelation. He asked for a cloth and put the Black Stone in its center. The clan leaders held the corners of the cloth and together carried the Black Stone to the right spot, and then Prophet Muhammad (PBUH) set the stone in place, satisfying the honor of all. Prophet Muhammad (PBUH) hadn’t been worshiping idols while the most people of Arabia had been doing that. He was believer of the Abraham religion. He had been doing the practice of praying alone for several weeks every year in a cave on Mount near Mecca. During one of his visits to Mount Hira, the angel Gabriel appeared to him in the year 610 A.D, and commanded Prophet Muhammad (PBUH) to recite verses which would later be included in the Quran. Upon receiving his first revelations, he was deeply distressed. After returning home, Prophet Muhammad (PBUH) was consoled and reassured by Khadijah. He also feared that others would dismiss his claims as being possessed. So he started to preach secretly. Around 613, Prophet Muhammad (PBUH) began to preach to the public (Surah Al-Shu’ara, verse 214) by the order of God. Most Meccan people ignored him and mocked him, though a few became his followers. There were three main groups of early converts to Islam: younger brothers and sons of great merchants; people who had fallen out of the first rank in their tribe or failed to attain it; and the weak, mostly unprotected foreigners. The opposition in Mecca started when Muhammad delivered verses that condemned idol worship and the Meccan forefathers who engaged in polytheism. However, the Quranic exegesis maintains that it began as Prophet Muhammad (PBUH) started public preaching. As the number of followers increased, he became a threat to the local tribes and rulers of the city, whose wealth rested upon the Kaba, the focal point of Meccan religious life that Prophet Muhammad (PBUH) threatened to overthrow. 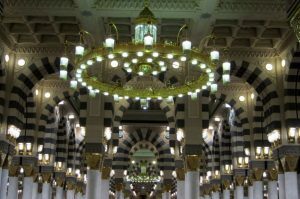 Prophet Muhammad (PBUH)’s denunciation of the Meccan traditional religion was especially offensive to his own tribe, the Quraysh, as they were the guardians of the Kaba. The powerful merchants attempted to convince Prophet Muhammad (PBUH) to abandon his preaching by offering him admission into the inner circle of merchants, and establishing his position therein by an advantageous marriage. However, he refused both. Prophet Muhammad (PBUH) and his followers, the Muslims, were persecuted severely. They were subjected to torture, imprisonment, and expulsion, economic and social boycotts. Many of them were killed because of their beliefs. But they remained patient and steadfast, and they held onto their religion of Islam. Sumayyah bint Khabbab, a slave of a prominent Meccan leader Abu Jahl, is famous as the first martyr of Islam; killed with a spear by her master when she refused to give up her faith. Bilal, another Muslim slave (black man) was tortured by Umayyah ibn Khalaf who used to place a heavy rock on his chest to force his conversion. Prophet Muhammad (PBUH) continued to teach his message to the people in secret and in public. After 13 years of enduring these conditions, the Muslims immigrated to Medina, a city more than 400 km (260 miles) north of Mecca. This migration of Prophet Muhammad (PBUH) and his followers from Mecca to Medina in 622 A.D is called “The Hijra”. That day was the first day of “Lunar calendar” for Muslims. The Muslims established the first Islamic nation in Medina, and were able to practice their religion freely for the first time. As the Muslims began to gain more followers and establish their power in Medina, their old enemies in Mecca became very uneasy. They saw that the balance of power was switching in favor of the Muslims as Arab tribes started to accept Islam. They attacked the Muslims and after several battles, the Muslims gained the upper hand. The Muslims then sent a large and well equipped army to Mecca to end the attacks once and for all. Prophet Muhammad (PBUH) instructed his army not to harm anyone who did not engage them in fighting. Upon seeing the strength of the Muslim army, the people of Mecca surrendered without fighting. The Muslims entered Mecca once again, this time in a position of power. They entered to the city in peace. It was the promise of God to Muslims. After this point, the spread of Islam became even faster. Arab tribes began to come to Prophet Muhammad (PBUH) one by one to declare their Islam. Within ten years, despite of several attacks by enemies, Islam had spread throughout Arabia and some other countries and became one of the main powers in the Middle East. According to the Quran, one of the main roles of Prophet Muhammad (PBUH) is to warn the unbelievers of their eschatological punishment (Surah Saad, verse 70/ Surah Al-An’am, verse 19). Occasionally the Quran did not explicitly refer to Judgment day but provided examples from the history of extinct communities and warns Prophet Muhammad (PBUH)’s contemporaries of similar calamities (Surah Fussilat, verse 13–16). Prophet Muhammad (PBUH) did not only warn those who rejected God’s revelation, but also dispensed good news for those who abandoned evil, listening to the divine words and serving God. Prophet Muhammad (PBUH)’s mission also involves preaching monotheism: The Quran commands Muhammad (PBUH) to proclaim and praise the name of his Lord and instructs him not to worship idols or associate other deities with God (Allah). The key themes of the early Quranic verses included the responsibility of man towards his creator; the resurrection of the dead, God’s final judgment followed by vivid descriptions of the Hell and pleasures in Paradise; and the signs of Allah in all aspects of life. Religious duties required of the believers at this time were few: belief in God, asking for forgiveness of sins, offering frequent prayers, assisting others particularly those in need, rejecting cheating and the love of wealth (considered to be significant in the commercial life of Mecca), being chased and not to kill newborn girls. Prophet Muhammad is known as the prophet of mercy and kindness. 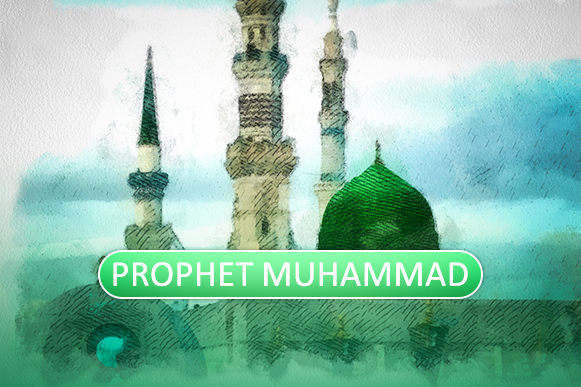 To know more about the prophet Muhammad personality and life style, refer to …. In 620 A.D, Prophet Muhammad (PBUH) experienced the Isra and Mi’raj, a miraculous journey said to have occurred with the angel Gabriel in one night. At the beginning of the journey, the Isra, he have travelled from Mecca on a winged steed (Buraq) to “Al-Aqsa Mosque” in Jerusalem. Then, Prophet Muhammad (PBUH) have toured heaven and hell, and spoke with earlier prophets, such as Abraham, Moses, and Jesus (PBUT), he also could talk with God (Allah) without seeing him, this journey is called Mi’raj. This event was as a spiritual and a physical journey. In 632, at the end of the tenth year after Hijra (migration to Medina), Prophet Muhammad (PBUH) completed his annual Great Pilgrimage, known as Hajj. That was then, the Prophet (PBUH) delivered his famous speech, determined his succession (Imam Ali (PBUH)) that known as The Farewell Sermon near the pound of Khum (Qadir Khum). In this sermon, Prophet Muhammad (PBUH) advised his followers not to follow certain pre-Islamic customs. He declared that an Arab has no superiority over a non-Arab, nor a non-Arab has any superiority over an Arab. Also a white has no superiority over black, nor does a black have any superiority over white except by piety and good action. Commenting on the vulnerability of women in his society, Prophet Muhammad (PBUH) asked his male followers to “be good to women, for they are powerless captives in your households. You took them in Allah’s trust, and legitimated your sexual relations with the Word of God, so come to your senses people, and hear my words …” He told them that they were entitled to discipline their wives but should do so with kindness. 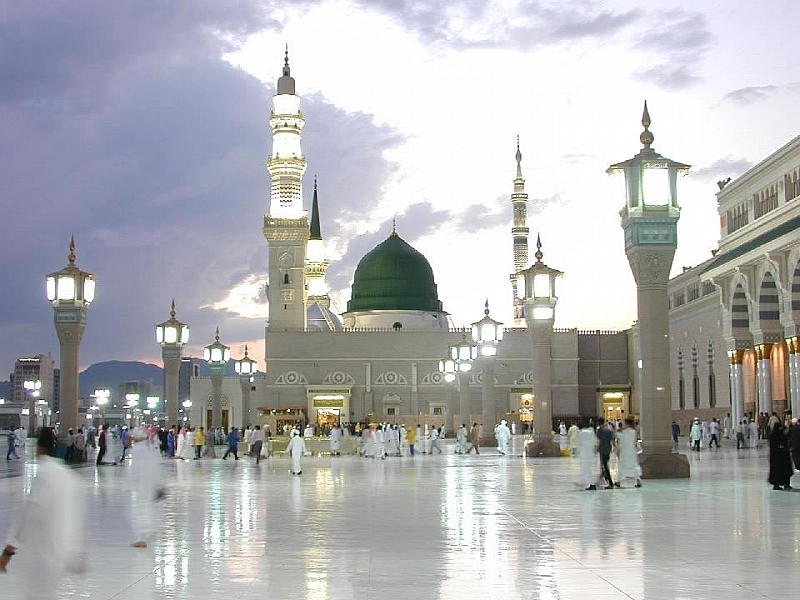 A few months after the farewell pilgrimage, Prophet Muhammad (PBUH) fell ill due to poisoning (to see more refer to Articles: “The Martyrdom of Prophet Muhammad (PBUH)”) and suffered for several days with fever, head pain, and weakness. He martyred in 632 A.D, in Medina, at the age of 62 or 63. He was buried where he died in his own house. 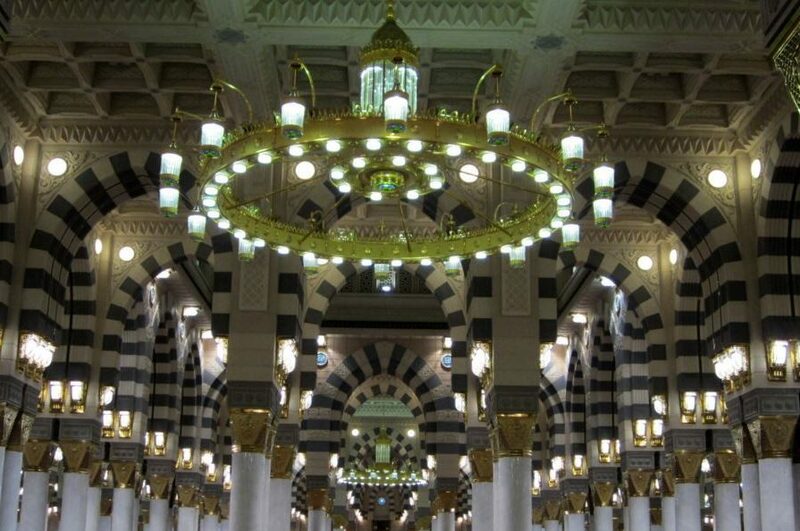 This place is known as Masjid al-Nabawi (the Mosque of the Prophet) now. The Green Dome above the tomb was built in the 13th century, although the green color was added in the 16th century. Prophet Muhammad (PBUH) accomplished his mission of delivering the message to humanity. He has left us with the holy Qur’an (the word of God) and Ahl Al-Bayt (12 Imams (12 leader) from his progeny). Through his sacrifices and those of his followers, Islam today is the largest and fastest growing religion in the world. One out of every five people in the world is a Muslim. It is for this reason that Michael H. Hart (an astrophysicist born in New York City in 1932), in his book in 1978 “The 100: A Ranking of the Most Influential Persons in History”, ranked Prophet Muhammad (PBUH) as the single most influential person in the history of the world. After Prophet Muhammad (PBUH)’s martyrdom some Muslims followed his successor, Imam Ali (PBUH), they are known as Shia Muslim. The others followed the caliphs after the prophet (PBUH), they are known as Sunni Muslim. To know more, refer to “Imamate” , “Saqifah” , “1st Imam- Ali (PBUH) ” , “Shia, Sunni, differences“. but you didn’t mention why Shia Muslims are Kafir! you are Muslim and you it well. The truth is Muhammad Rasolullah passed away after his last sermon on Friday pray. He said farewell to his followers in his healthy body & soul & mind before he passed away in Masjid that he built as Allah mentioned in the Qur’an that his mission was completed & should be prepared to departed to where he belong in paradise. above with all prophets before him & their believers. according to the documents, as you mentioned, the prophet’s mission was completed before his martyrdom.